Recently I attended a talk talking about brand presence and how the social media can transform your local business into international business. I believe most of you know building brand awareness is crucial to a business success. But basically how to make sure your brand is established well? First you sure need to have a website, because internet brings your brand to everyone around the world with Internet. You do not need to rent a place and distribute flyer to them. Equinox is by far the most reputed and eminently renowned web development company. 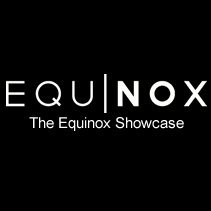 Headquartered in Singapore, Equinox create the most innovative and attractive website on this earth. All their designers have supreme knowledge and years of experience in the field of website designing. The website they used are user fiendly and eminently informational. Want to get a new outlook for your business? #Banner #Design , Spring season Australia, = Banner change, Do you like?